A member of the American Academy of Dermatology, Dr. Shari Hicks-Graham far exceeds patient expectations. Board-certified in the field of dermatology, she has immense interest in all aspects of the subject. From surgical procedures to aesthetic dermatology, and even general practices, she cares about each area of the dermatology field and works with her patients to ensure their every need is met. Dr. Hicks-Graham graduated from Spelman College in Atlanta, Georgia. She also attended the University of Pittsburgh School of Medicine, where she earned a second degree. Wanting to learn from one of the best in the field, she went on to Harvard’s Wellman School of Photomedicine, where she was gladly mentored by Dr. R. Rox Anderson. There, she completed a research fellowship under his helpful direction. For a time, Dr. Hicks-Graham interned in the Department of Internal Medicine at Boston’s Massachusetts General Hospital. Soon after, she headed out for California, to the The Los Angeles County Medical Centers. This is where she completed her residency for dermatology and where she excelled, realizing that dermatology was her true calling. Dr. Hicks-Graham called Columbus, Ohio home before she headed off for the college experience that would eventually lead to her exciting career. After completing her college goals in 2005 when her residency was finished, she headed back home to Ohio where she now runs a dermatology clinic called Downtown Dermatology. She is the lead dermatologist, working alongside her skilled physician assistant, Jana Shaffer. Together, they take on a wide variety of cases and help anyone in need. Her clinic is not only intended for adults, either. Adults, teenagers and even children suffering from skin diseases and problems turn to Dr. Hicks-Graham for help. 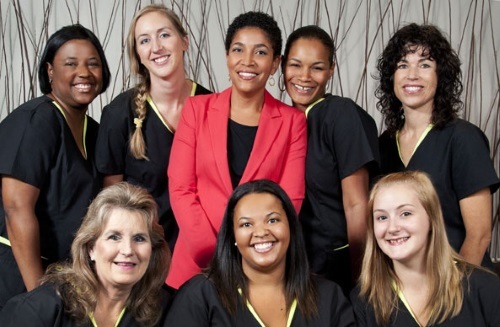 Surgical, cosmetic and medical procedures are all performed on site by her and her talented team. Skin screenings, eczema management, acne treatment and hair disorder treatments are some of the most common procedures performed. A full list of services is available on her website, found at Columbus Downtown Derm. Patients from all walks of life speak highly of Dr. Shari Hicks-Graham. Many have kind things to say about her, not only in regards to her skills and their satisfaction with her services but also in terms of scheduling ease and a clean and comfortable office environment. With an interest in all things dermatology, patients can see that she is knowledgeable about the problems they are facing, and is helpful in providing information and guidance on what they’re facing. With her caring personality, she works with them to ease their fears about procedures and ensures all services meet their satisfaction. Patients have clearly noticed incredible results with Dr. Hicks-Graham’s help. She not only shares advice on their issues but also comes up with an ideal solution to help them gain back their confidence. These patient reviews are just a few of the ones available. Review sites, like HealthGrades, include numerous 4.7 ratings for Dr. Hicks-Graham, indicating her level of professionalism and knowledge in her field. It certainly means something these days when people take the time out of their busy lives to leave their personal experience and review on someone’s Facebook page, as they have hers. Patients agree that she takes the time to explain procedures well, spends time with each person to understand their needs, offers courteous advice and leaves them with a large level of trust and confidence in her. 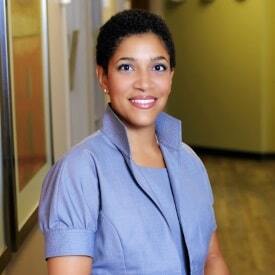 Dr. Shari Hicks-Graham is far from just a skilled dermatologist. Board-certified in her field, she is a topnotch doctor well-versed in her level of work. Any dermatology-related work that needs to be done can be handled by Dr. Hicks-Graham, from general procedures to large cosmetic enhancements. Her patients recommend her highly and we think it’s easy to see why. Reviews Agree – Patients Love Dr. Whitney Bowe. So Do We!